Last night (March 28), the Edmonton Oilers clinched a spot in the NHL playoffs for the first time since 1996, led by their superstar captain Connor McDavid. 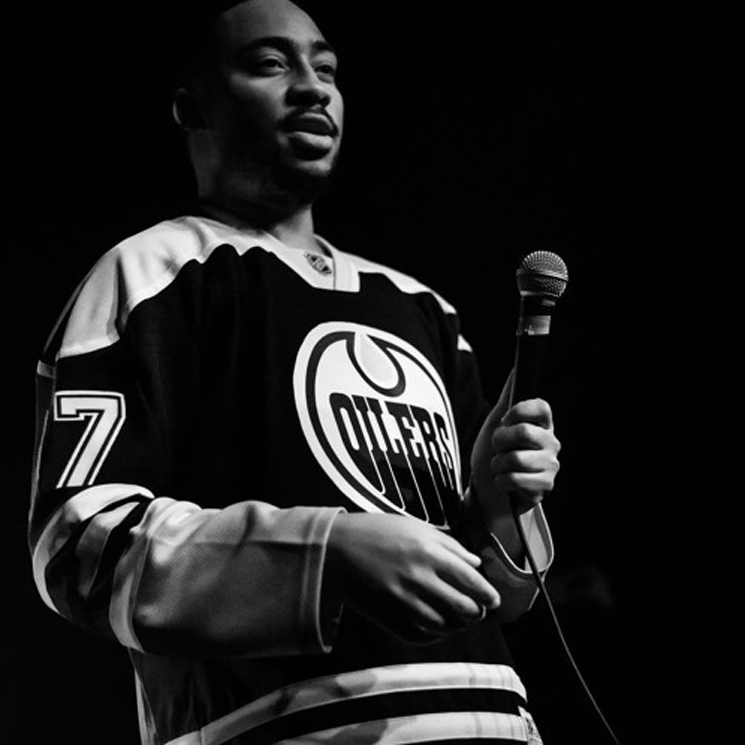 Ahead of the Oil's postseason run, Edmonton native Cadence Weapon (a.k.a. Roland "Rollie" Pemberton) has released a track dedicated to McDavid and his team. Produced by Pemberton and Gibbs, the track finds the rapper "skatin' on your whole team" like the titular player, acknowledging that the Oilers "caught a few Ls, but we back in the game." Keep an ear open for shoutouts to Wayne Gretzky and McDavid's linemate Milan Lucic. Of course, Cadence Weapon also recently teamed up with Kaytranada to release "My Crew (Woooo)" back in February. Hear "Connor McDavid" in the player below.